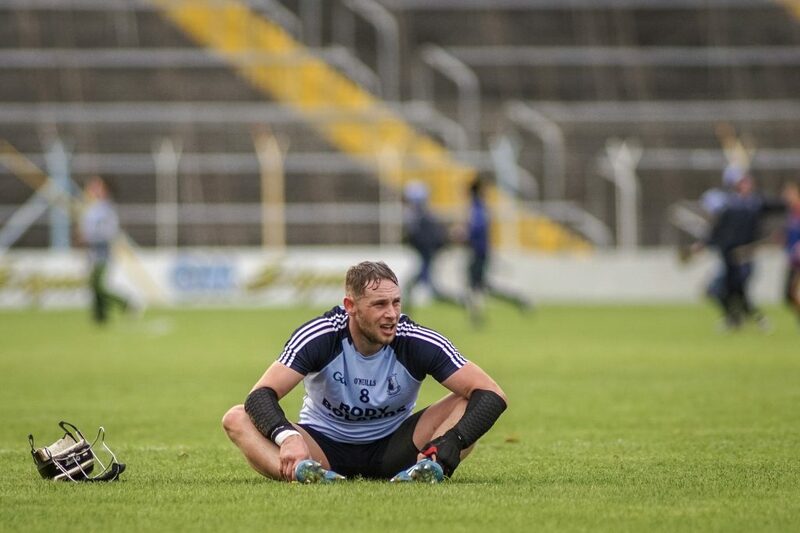 The club received that fantastic news recently that Michael Geaney was honoured by Croke Park after his sterling work in promoting the GAA’s Healthy Club Project. 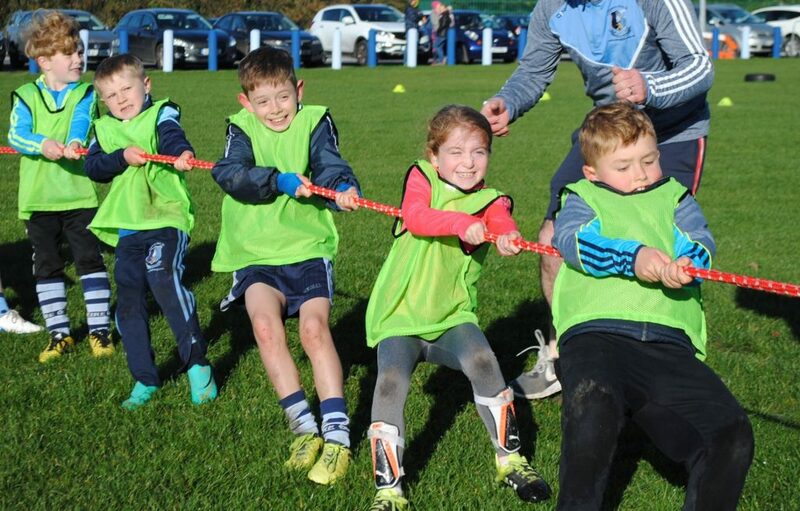 In 2014, Nenagh Éire Óg were one of just sixteen clubs nominated to pilot the programme and from the beginning Michael was the driving force behind the initiative in the town. In his time he has organised numerous talks and events aimed at helping people in our community including talks on mental health, gambling, alcohol and addiction. Influential speakers such as Seamus Hennessy, Conor Cusack, Justin Campbell and Shane Martin among others have visited the area to share their knowledge and experience and have thus helped many people in our community. 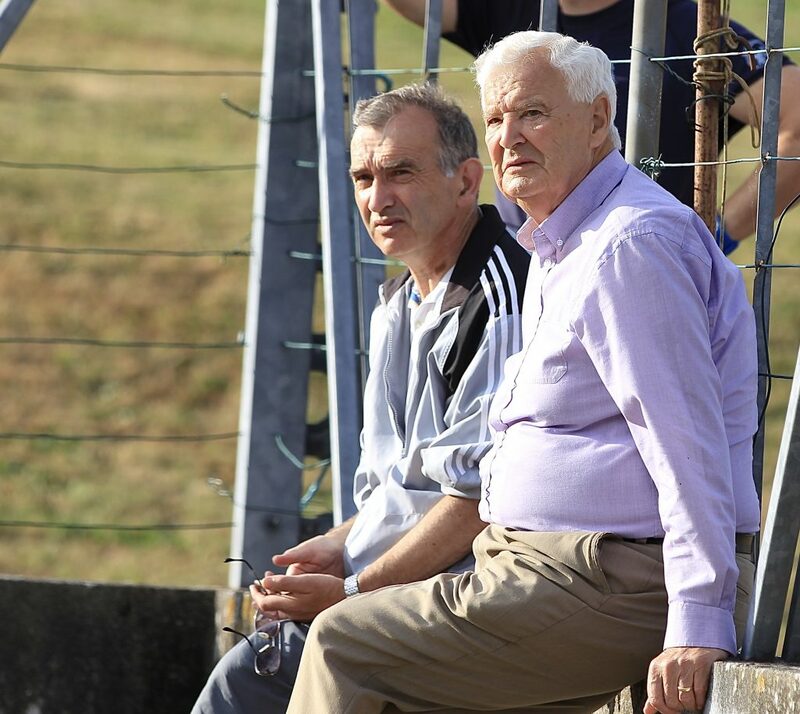 In our opinion, Michael is one of the true heroes of the GAA, a man who goes about his business seeking no glory or attention and diligently does his best to help out the club where ever possible. 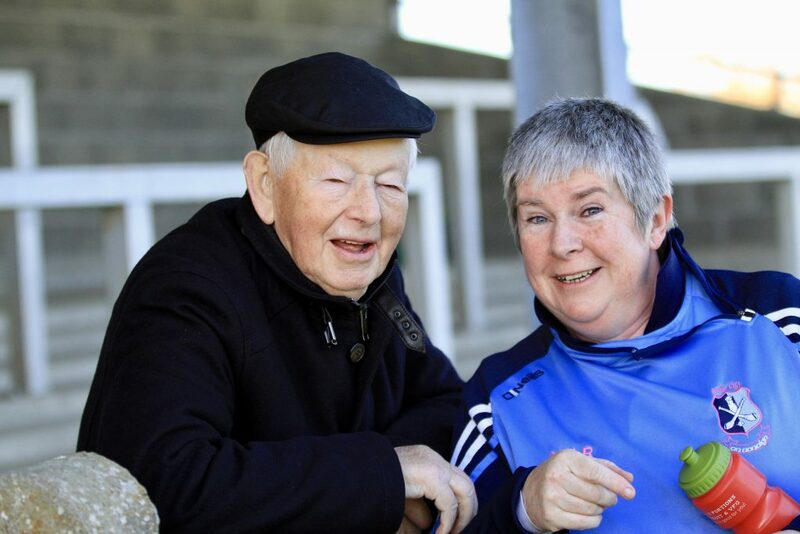 During his time as juvenile chairperson, Nenagh Éire Óg dominated the hurling landscape winning numerous divisional and county championships and the majority of our senior hurlers were part of those successful outfits. Today, thanks to volunteers like Michael, the Healthy Club Project has grown to include 150 clubs up and down the country including Tipperary’s Lorrha and Dorrha, Newport, JK Brackens and Fr. Sheehy’s and has created partnerships with Healthy Ireland, the National Office for Suicide Prevention, the HSE, and is proudly supported by Irish Life. Clubs focus on a range of health topics, including healthy eating; mental fitness and emotion wellbeing; physical activity for non-playing members; gambling drug, and alcohol awareness (including becoming smoke-free clubs); engaging older community members; and the provision of games for persons with special needs and those from minority groups, amongst other things. Once again we say congratulations to Michael, there is no more worthy recipient. 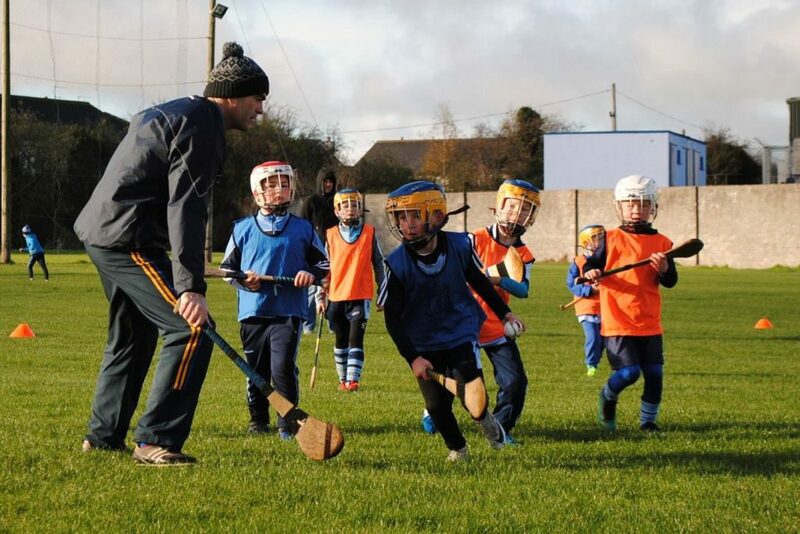 Our under-8 hurling finished up on Saturday after a great effort all year. 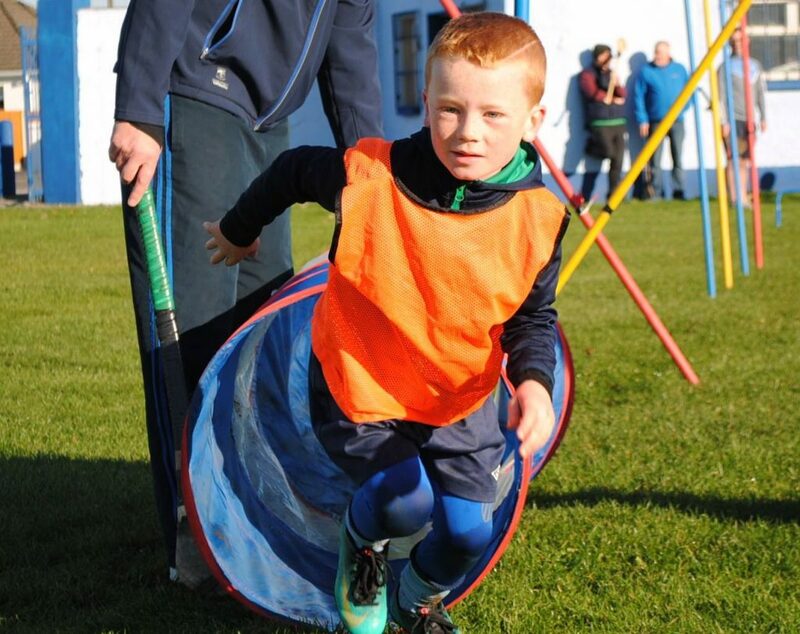 Having started back in February we had thirty at every training session for hurling and Gaelic football. The parents gave huge support throughout the year to ensure that the children got to training. Phenomenal support was provided through all the help with coaching, encouraging, feeding and with whatever job needed to be carried out, our thanks to them all for that. Great friendships were made by the children and parents all year which was lovely to see develop. On Saturday morning we had keenly contested hurling matches followed by a number of novelty and fun events. We had two obstacle courses, relays, tug-of-war and other fun games. The parents provided delicious food as always for the families after training and the club generously provided goodie bags for all the children and siblings. For those moving up to under-10 we wish them all the best of luck as we do those who are staying with the under-8s. We are delighted to see the huge work going on in the local primary schools to promote Gaelic Games. Please keep the boys practicing over the winter at home. 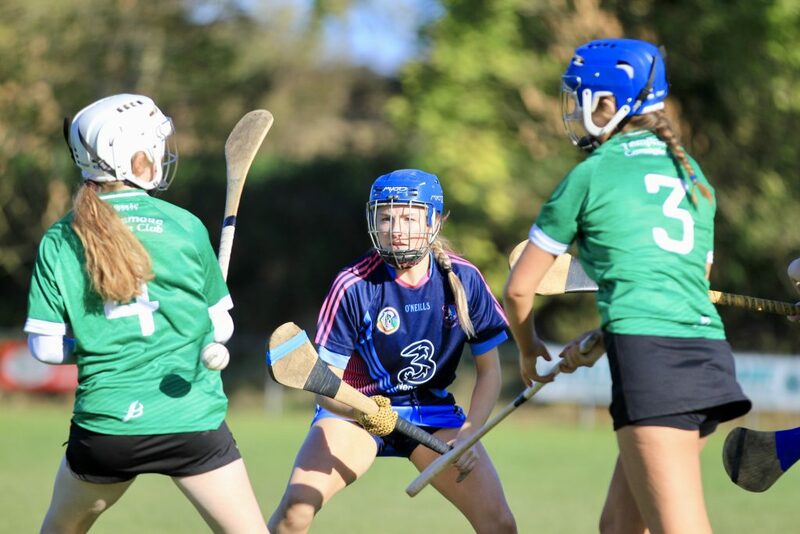 The Camogie side have qualified for the county minor C final following a 6-8 to 1-8 win over Templemore Camogie Club in The Ragg on Sunday morning last. Two quick-fire Caroline Browne goals early in the first half set the girls up and they never looked back from there. 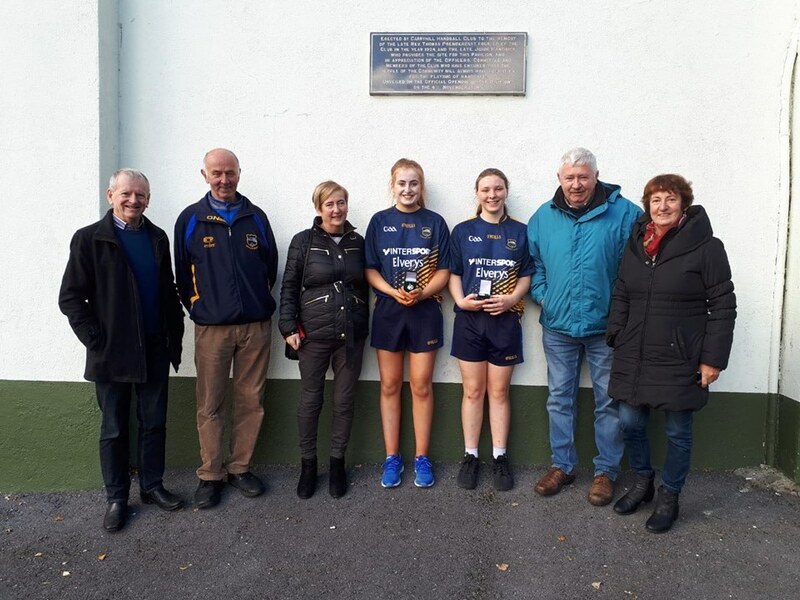 Congratulations to Nenagh Handball Club’s Sinéad Meagher and Laura Shinnors (Lahorna) who won the 60 X 30 Ladies Junior Doubles All-Ireland Final today in Carlow beating Dublin opposition of Lisa McKenna and Maedbh Ní Dhalaigh. This is an outstanding achievement particularly by Sinéad who, returning from injury, has now won all four Ladies Junior All-Irelands this year, 40×20 Singles and Doubles and 60×30 Singles and Doubles. Well done to the ladies and their coaches. Proud day for all. On Saturday next two events take place in Borris-Ileigh GAA club with the aim of raising money for charity. Firstly, a 5KM run will take place at 11am and we hope a huge crowd from the club, wearing their Éire Óg colours, will turn out. 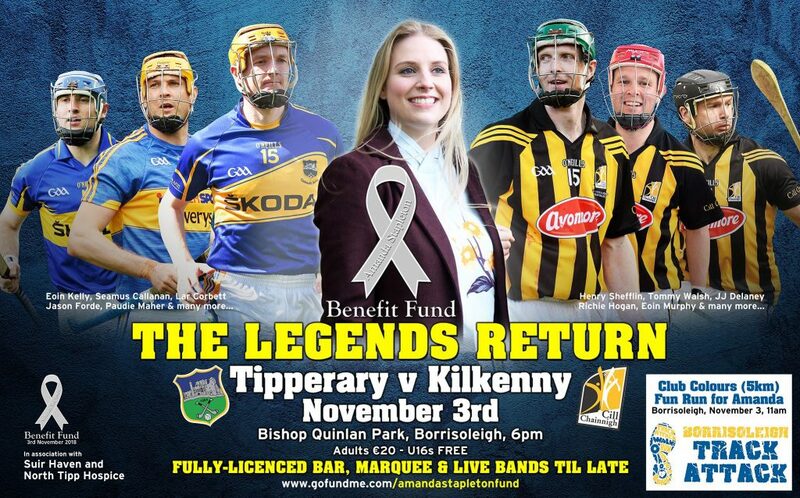 Secondly, a legends match between Tipperary and Kilkenny, featuring a host of former players, occurs that same day, at 6pm, in Bishop Quinlin Park, Borrisoleigh. There will be live music and other activities on the night. This will be a fantastic opportunity to see former greats like Eoin Kelly, Lar Corbett, Paul Murphy and Tommy Walsh clash one last time on the field of play. 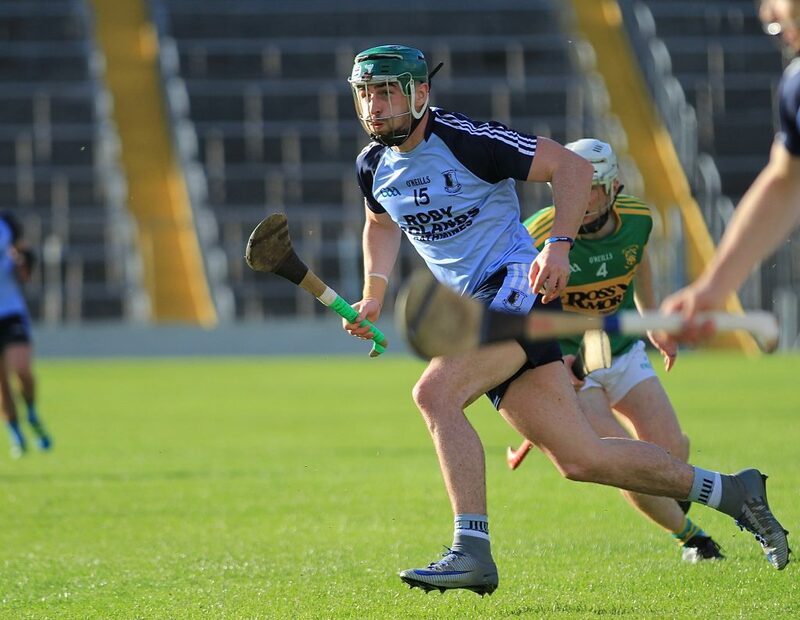 While there is still huge disappointment surrounding last weekend’s county final defeat there is some small measure of consolation for team captain Michael Heffernan who was this week nominated for the Tipp FM Club Player of the Year award after his fantastic displays all year for the Blues. Michael faces stiff competition for the award from Clonoulty Rossmore’s Conor Hammersley, Jerome Cahill of Kilruane MacDonagh’s. Denis Maher of Thurles Sarsfield’s and Jason Ryan of Toomevara. Best of luck Michael. Two of our senior hurlers are going all out to help other less fortunate than we are and deserve huge credit for doing so. Both men are off to Capetown in South Africa in June, 2019 to volunteer for the GVI women adn childcare programme The main aim of this project is to improve the lives of the children and their communities by improving the standards of education and by providing them with greater opportunities to help themselves in later life. The long term objectives of GVI is to build long term self-sustainability in the Project Sites. Rather than the partners GVI work with becoming reliant on their presence, GVI are always looking to empower the local staff and community members so that they can carry on the particular work of a project once they have moved on to assist someone else. If you would like to support Shane please click this link and if you would like to support Killian please click this link. During the week it was revealed that Nenagh CBS teacher, Mr. Hannigan, had announced his retirement from the Tipperary senior footballers having been playing with them since 2006. Mr. Hannigan is a hugely popular teacher in the school and has coached a lot of young players in the CBS in both hurling and Gaelic football. 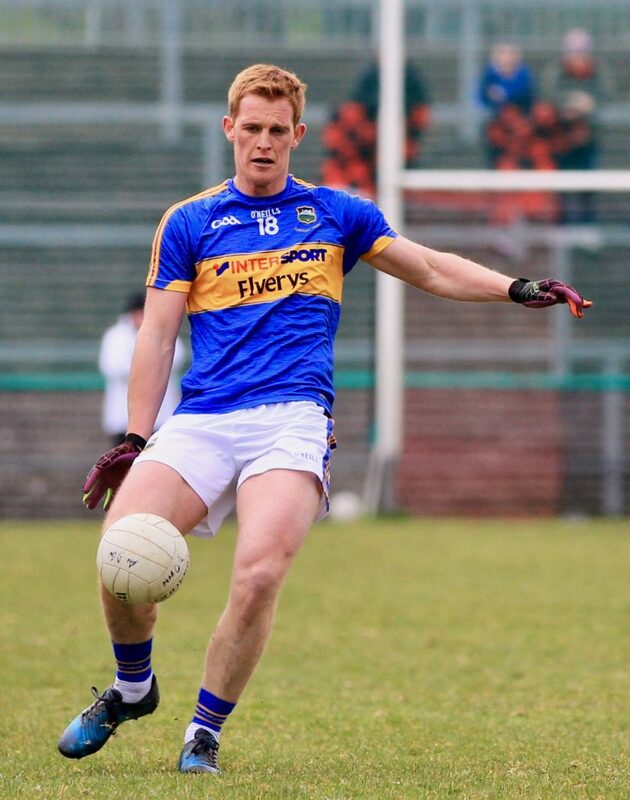 During his inter-county career he represented the county on an impressive 36 occasions in the championship, scoring 0-13 points in the process. In November 2017 he coached the school team to the county A football title having been extremely unfortunate not to win it in 2016. 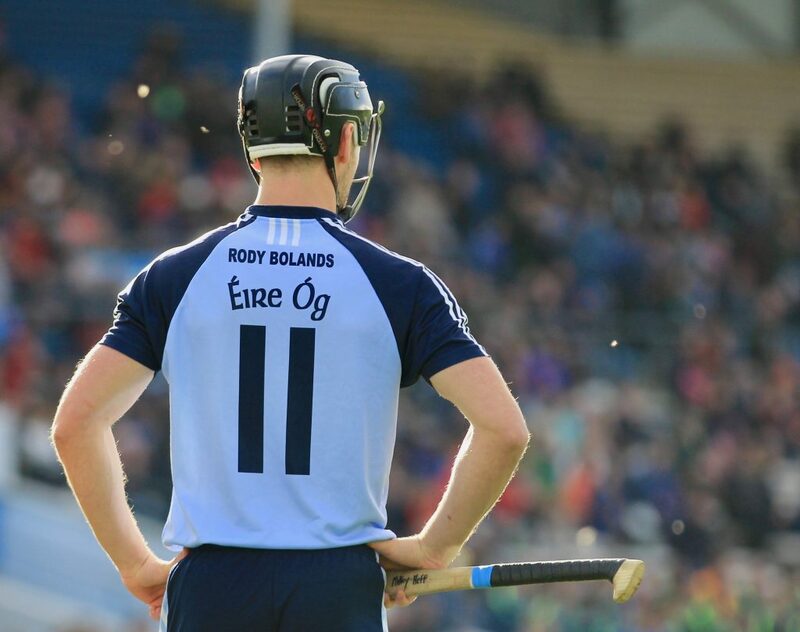 We here in Nenagh Éire Óg wish to congratulate him on his amazing career and look forward to his continued hard work in promoting Gaelic games to our juveniles who attend the school. The seniors suffer a cruel heartbreaking county final defeat, Jake Morris receives his Bord Gáis Energy under-21 team of the year award and the minor camogs qualify for the county semi-final. We extend our commiserations to our senior hurlers who were unfortunately beaten by a superb Clonoulty Rossmore side today in the Tipperary Water county final on a scoreline of 2-13 to 0-23. To say the panel, management and club left no stone unturned in their efforts to win today is an understatement but it simply wasn’t to be. To Clonoulty Rossmore we extend our congratulations and wish them the very best as they embark on their Munster campaign. We wish to thank the people of Nenagh for their amazing support both this afternoon and in the weeks leading up to the game. The town has been decked out in blue and navy while the roars from the Blues’ fans today was deafening. All of your support has been gratefully received by everyone involved with the team. We also wish to thank all the local sporting clubs and businesses for their wishes of support over the last few days. It was fantastic to see the parish united in sport as Nenagh Celtic, Nenagh Ormond RFC, Nenagh Neptune Swimming Club, Nenagh AFC among others send their best. The businesses excelled themselves in their efforts to fly the Éire Óg flag high and we encourage all our of supporters to continue to shop local. The schools also pulled out all the stops and once again we thank you all for your continued support and promotion of Gaelic games amongst the youth of our town. To all of our sponsors and to everyone who purchased signs this year and contributed to our training fund we thank you most sincerely. We could not possibly function without your kindness. While everyone is very down at the moment there is no doubt that this panel will be back and will continue to do their upmost to bring Dan Breen back to the town. 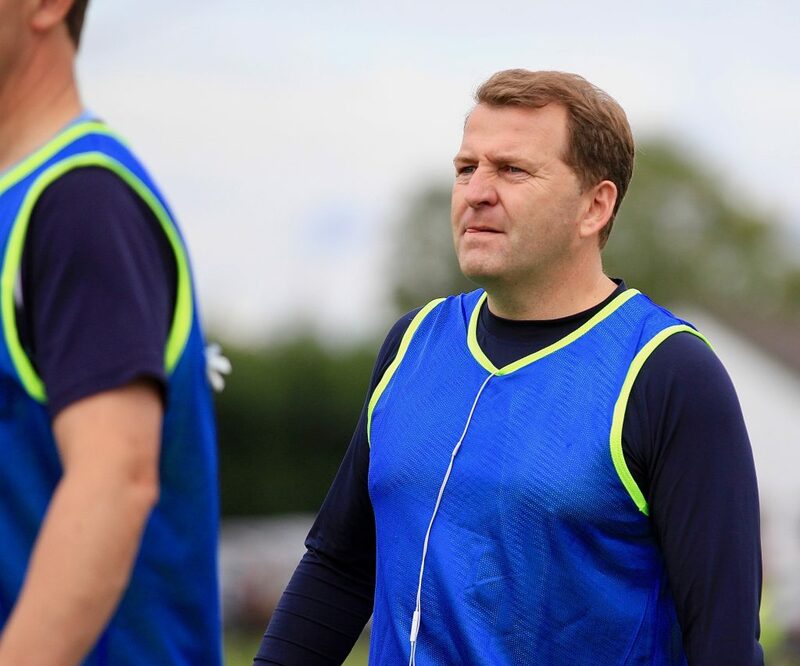 The entire panel and management have conducted themselves in a very professional manner throughout 2018, never failing to give less than 100% in training and matches and have been fantastic ambassadors of our town. Thank you once again to everyone for your unwavering commitment. Match Day Hurleys & Water: Donnacha Quinn, Noel Coffey, Donie O’Brien, Cian Tucker, Derek Lillis & Seán Phelan. Senior Hurling Panel: John Brennan, Adam Carey, Andrew Coffey, Mark Flannery, Killian Gleeson, Adam Gratton, Adam Healy, Barry Heffernan, Michael Heffernan, Tommy Heffernan, Shane Hennessy, Philip Hickey, Craig Hilmi, James Mackey, Niall Madden, Killian Malone, Hugh Maloney, Noel Maloney, Conor McCarthy, Niall McKeogh, Michael McNamara, Jake Morris, Pearse Morris, Paddy Murphy, Dan O’Donovan, Mark O’Farrell, Dáire Quinn, Christopher Ryan, Conor Ryan & Mark Tuite. 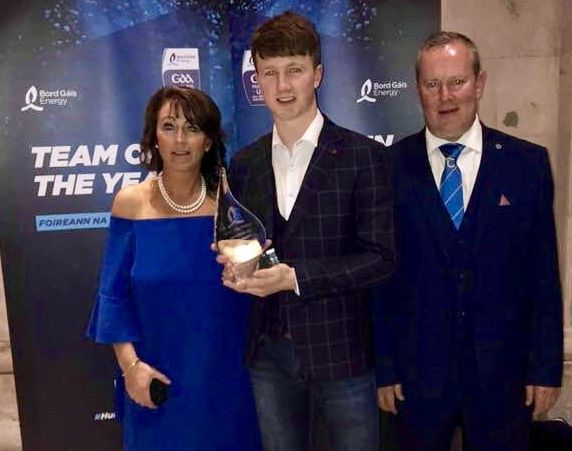 Congratulations to Jake Morris who, on Wednesday last, received his award for making the Bord Gáis Energy under-21 team of the year following his sterling performances with Tipperary in 2018. Jake was joined by four of his team mates in this prestigious selection, namely Killian O’Dwyer, Brian McGrath, Robert Byrne and Ger Browne. 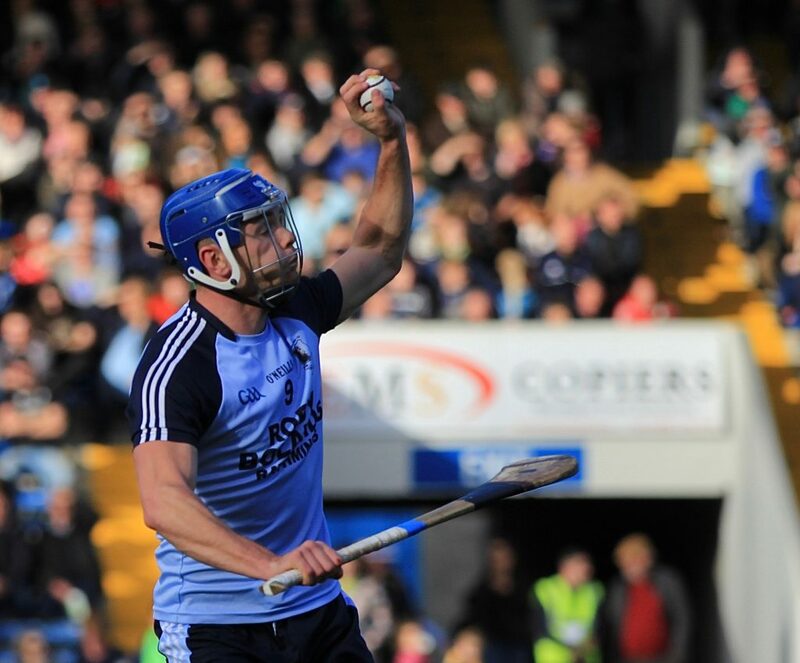 In further great news Jake and Ger Browne were nominated for the Bord Gáis Energy player of the year award. Also in the reckoning are Fintan Burke (Galway), Mark Coleman (Cork). The winner will be announced at an event which takes place at Dublin’s City Hall on Friday, October 19th. The full team is as follows: Ger Collins (Cork), Killian O’Dwyer (Tipperary), Brian McGrath (Tipperary), Niall O’Leary (Cork), Fintan Burke (Galway), Robert Byrne (Tipperary), Billy Hennessy (Cork), Mark Coleman (Cork), Ger Browne (Tipperary), Robbie O’Flynn (Cork), Rory O’Connor (Wexford), Cianan Fahy (Galway), Jake Morris (Tipperary), Tim O’Mahony (Cork), Seamus Casey (Wexford). Our minor camogs continued their great form this year by qualifying for the county semi-final after defeating Fethard today, 2-5 to 0-6. Fethard were the better team in the first half leading at half time 0-4 to 0-2 with Nenagh’s points coming from Michelle Barry and Lucy Spain. The game turned when a Fethard player was given a straight red card in an incident which resulted in Katie Morris, who was having an outstanding game, going off injured. Nenagh responded with a goal from Sarah Hallinan and a point from Rachel O Connor. To be fair to Fethard they kept up their pressure game and responded with two points to draw the game going into the final quarter. A goal from senior star Rachel O’Connor and a point from a ’45 from Lucy Spain closed out the game for Nenagh who will have to up their game if they are to progress further in this competition. 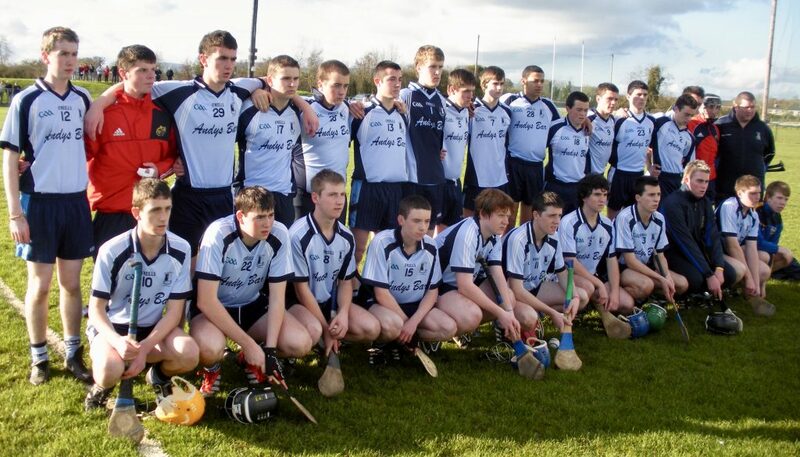 Fethard can be proud of their efforts in the game. Team: Niamh Sheridan, Abbie Sheedy, Katie Morris, Ella Carey, Caoimhe Connolly, Megan Grace, Rachel O’Connor, Michelle Barry, Lucy Spain, Meaghan Morris, Ellie Spain, Siobhan Collins, Sarah Hallinan, Ciara Sherlock. Fantastic news broke during the week about one of our former players, Daryl McCormack. Daryl was a talented hurler and won numerous titles in the blue jersey. Daryl has since moved on and is making waves in the acting world and this week it was revealed that he had secured a role in the hugely popular show Peaky Blinders where he will act alongside stars such as Cillian Murphy. Congratulations Daryl from everyone in the club. Our senior hurlers travel to Semple Stadium on Sunday next to play West side Clonoulty Rossmore in the Tipperary Water county final. 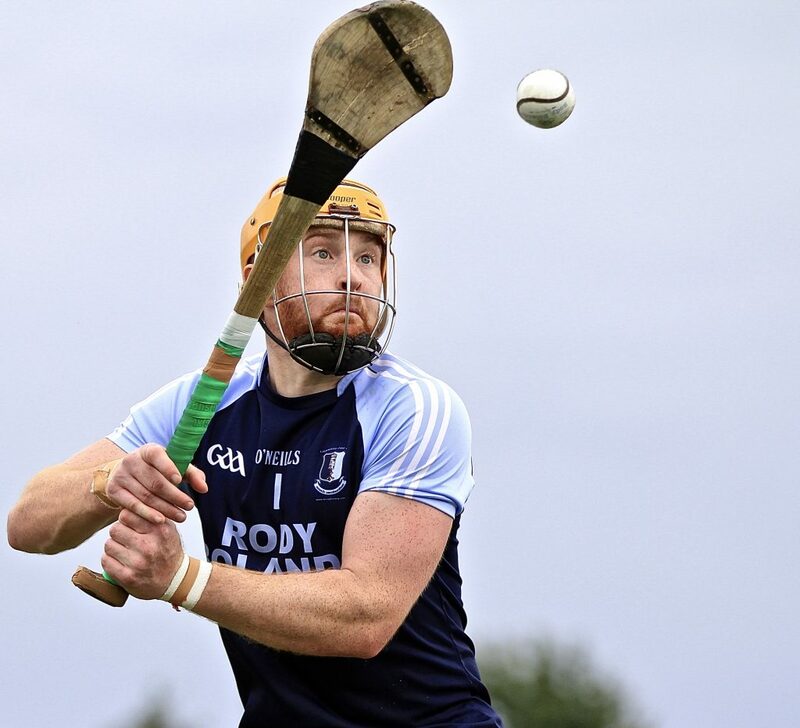 The sides last met on August 12th in The Ragg in the group stages of the county senior championship with The Blues fortunate to come away with a two-point victory, 1-20 to 1-18. John Fitzgerald and his men will have it all to do if they are to repeat that feat. This game throws in at 15:30 and we would love to see you all there decked out in your sky blue and navy. Your support is very much appreciated by the players and everyone involved. 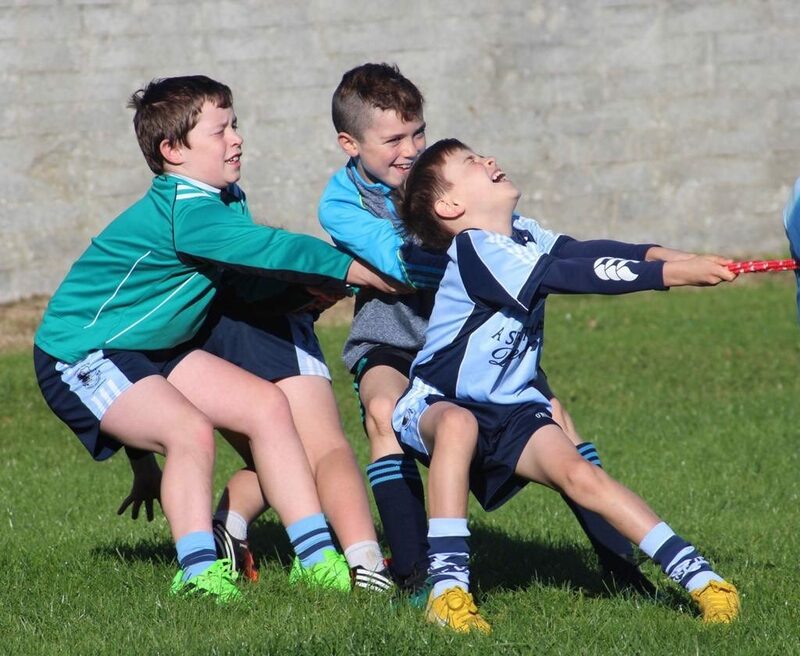 The under-8s travelled to Na Piarsaigh, Limerick on Sunday morning to play Na Piarsaigh and Clarinbridge of Galway. All clubs had four teams with each team playing four games, two against each club. There was great excitement amongst the boys in the lead up to the blitz and again today. Today was our last hurling blitz of the year. Our thanks to Na Piarsaigh for hosting us and providing lots of food afterwards. Training continues next Saturday at 10am as usual. 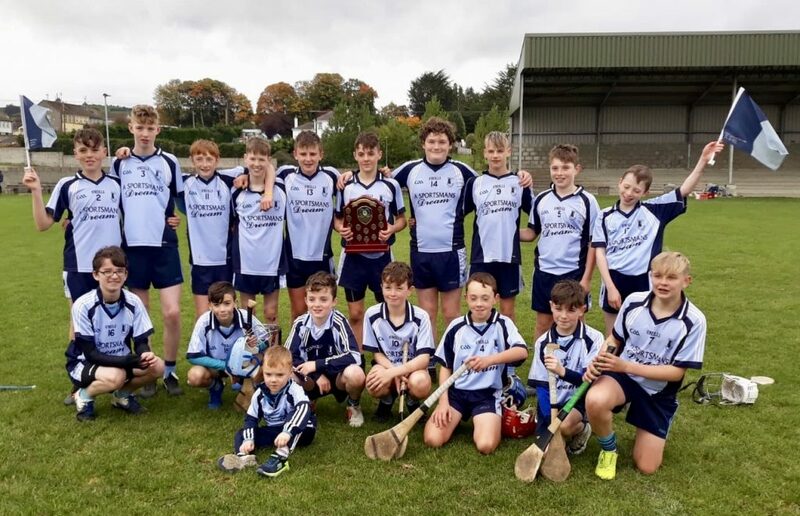 Our under-15 hurlers took part in the under-15 plate on Sunday morning. In the semi final our boys led from the start to record a superb 4-2 to 0-8 victory over a strong Ballina side. 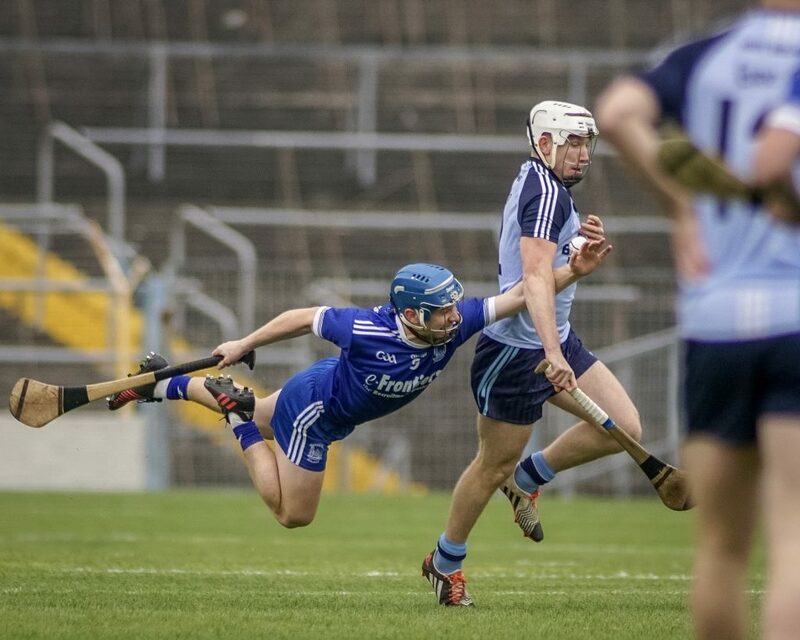 In the final, Nenagh came up against Silvermines and were unlucky to come out the wrong side of a 1-10 to 1-4 result. Congratulations to our boys who showed tremendous skill and work rate on route to reaching the final. We look forward to watching them progress over the next couple of years. 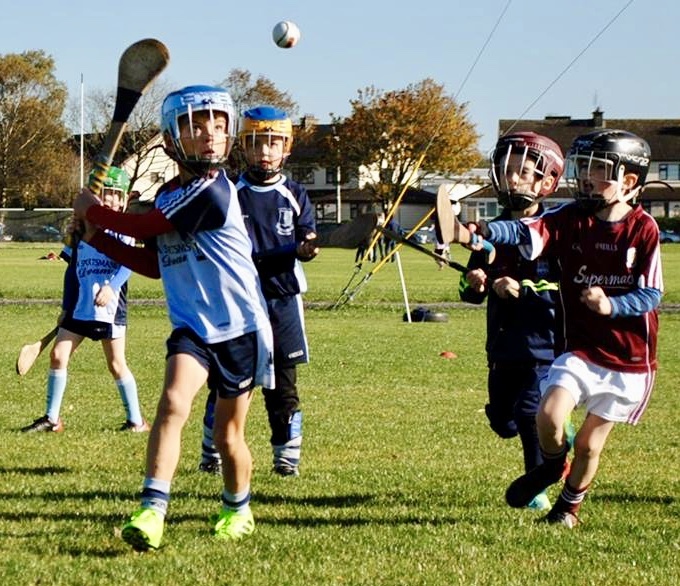 U8s travelled to Na Piarsaigh, Limerick on Sunday morning to play Na Piarsaigh and Clarinbridge of Galway. All clubs had four teams with each team playing four games, two against each club. There was great excitement amongst the boys in the lead up to the blitz and again today. Today was our last hurling blitz of the year. Our thanks to Na Piarsaigh for hosting us and providing lots of food afterwards. Training continues next Saturday at 10am as usual. 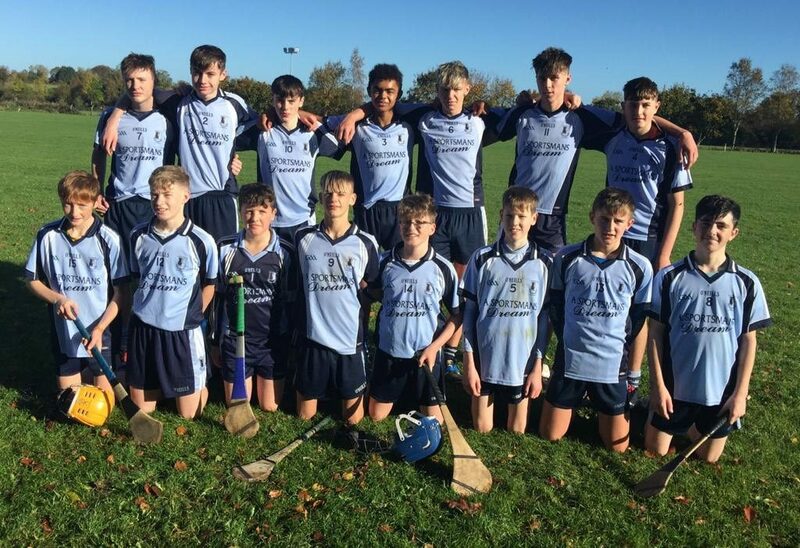 U15 Plate: Our U15 hurlers took part in the U15 plate on Sunday morning. In the semi final our boys led from the start to record a superb 4-2 to 0-8 victory over a strong Ballina side. 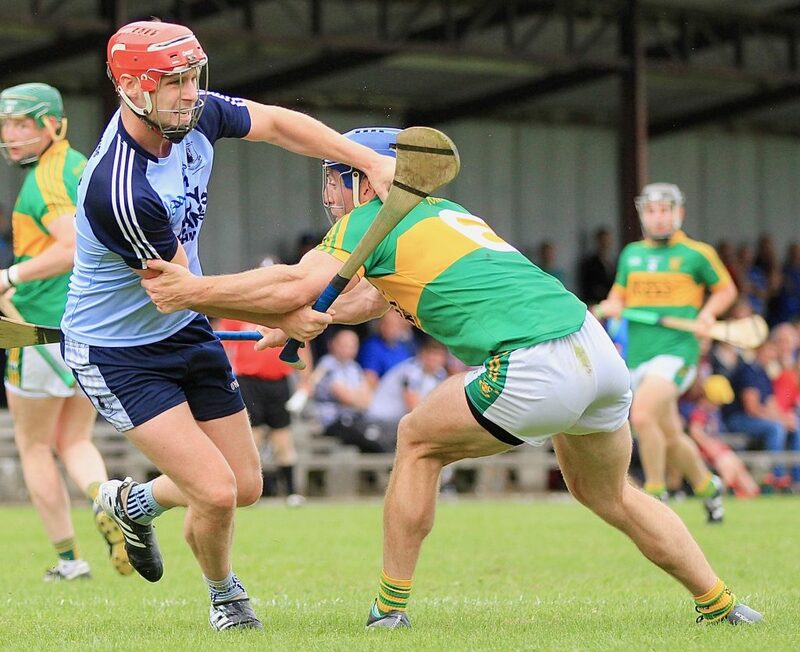 In the final, Nenagh came up against the Silvermines and were unlucky to come out the wrong side of a 1-10 to 1-4 result. Congratulations to our boys who showed tremendous skill and workrate on route to reaching the final. We look forward to watching them progress over the next couple of years. 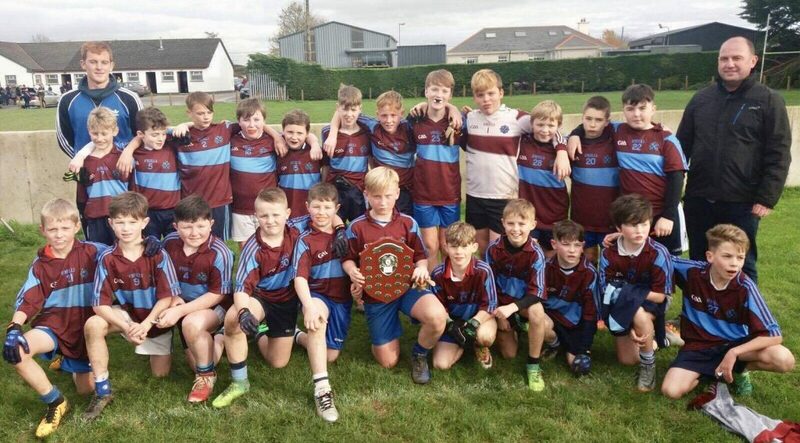 Schools Hurling:It has been fantastic to see so many of our juvenile hurlers carrying their hurleys to school with them over the last few weeks. We urge all our players to keep this up over the winter and keep practising. Best of luck to Nenagh seniors in the county final next Sunday from everybody in Nenagh Éire Óg Juvenile Club. 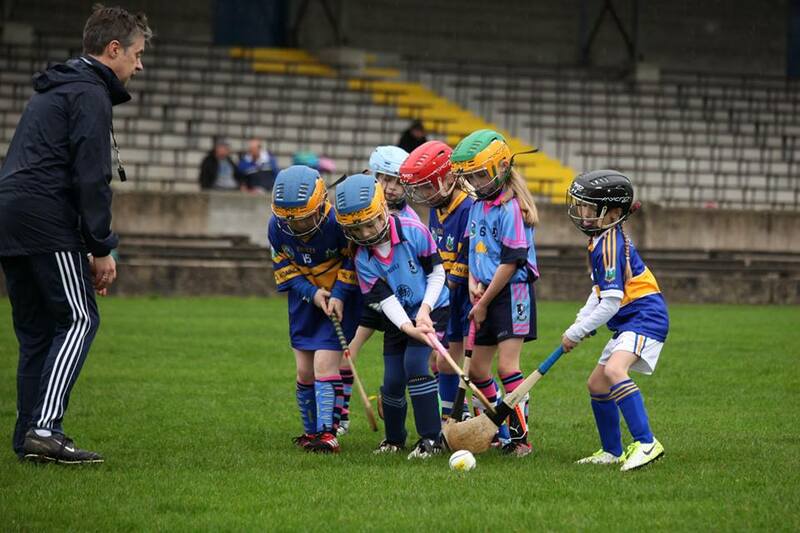 The under-8 Camogie girls’ year came to an end on Saturday in MacDonagh Park when we hosted a blitz. Having started in the first week of February this year, with the hugely successful Éire Ógre camp, the girls have continued to train in high numbers. Yesterday, we had 34 girls representing the club. We welcomed clubs from Kildangan, Portroe, Newport, Borris-Ileigh and Doon. Over one hundred girls turned up and played highly entertaining Camogie. Each team played three games and after the club kindly presented each girl with a medal. The parents from the club served up wonderful food as always inside in the complex to thank our guests for travelling for the blitz. Huge thanks must go to the parents for all their hard work and dedication to this group all year. Training for the under-6 and under-8 girls has finished for the year. We will have our end of year party in a few weeks in Nenagh College. Any girl who was missing yesterday and the under-6 girls will receive their medals there. The Nenagh Éire Óg minor Camogie team had a fine win today away to an excellent Borris-Ileigh. Conor Ryan’s charges have improved steadily through the group stage with experienced players like Ella Carey, Caroline Browne and Rachel O Connor gelling well with the younger stars like Michelle Barry and Katie Morris. They have now qualified for the county quarter final to be held next weekend. 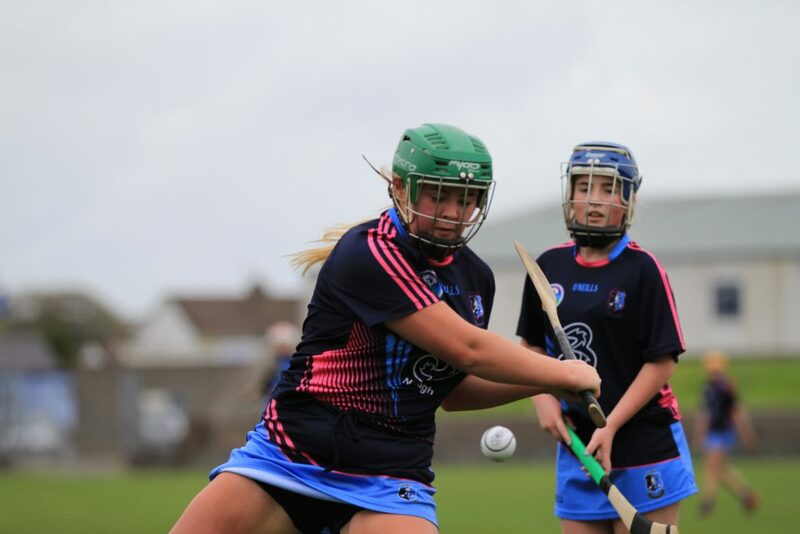 A special note of praise must go to the referee on the day, Tipperary Camogie star Caoimhe Burke who gave an outstanding display of mature refereeing which belies her young years. 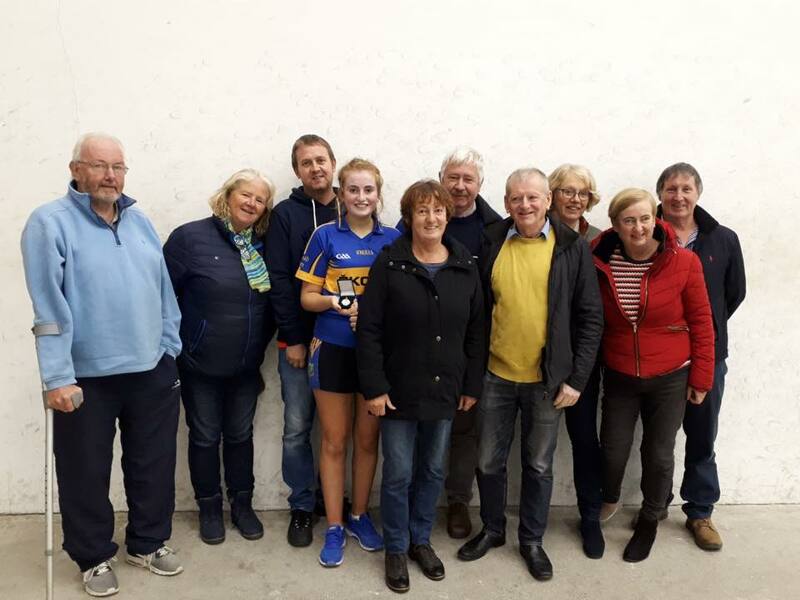 She is a credit to her family, her club and to Tipperary Camogie and a role model for women to join the refereeing ranks as she smiled her way through a game that she had full control of. 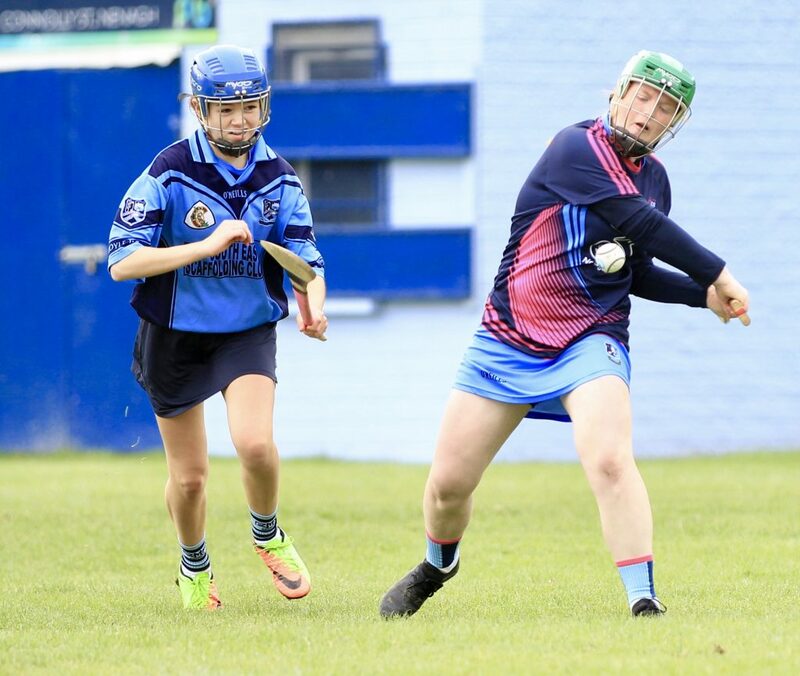 We extend our congratulations to Grace O’ Brien who was, on Wednesday, nominated for a Camogie All-Star award following her performances in the blue & gold this year. 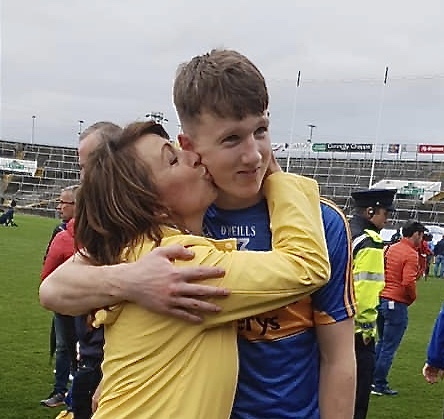 Grace became a thorn in the side for many corner backs throughout 2018 and memorably scored the winning goal against Offaly, thus ensuring Tipperary’s progression to the knock-out stages of the championship. 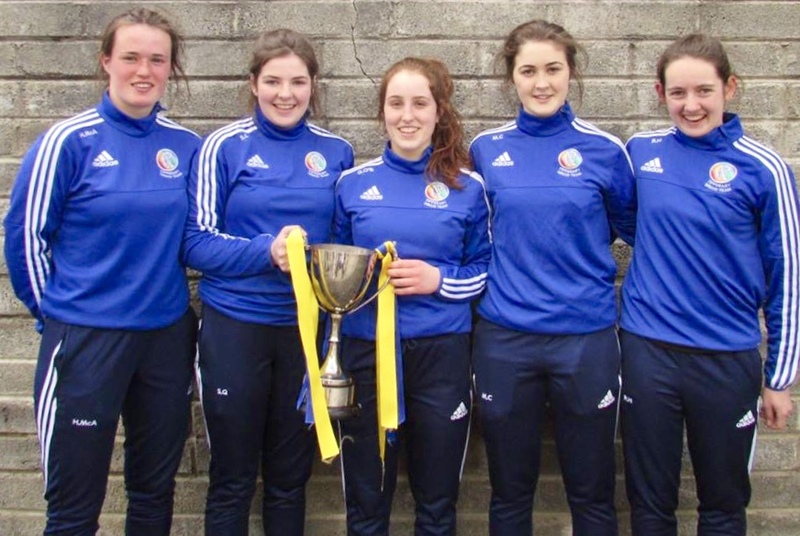 Four other Tipperary players joined Grace with nominations, namely Mary Ryan (Moneygall), Karen Kennedy (Thurles Sarsfields), Orla O’Dwyer (Cashel) and Cáit Devane (Clonoulty-Rossmore). 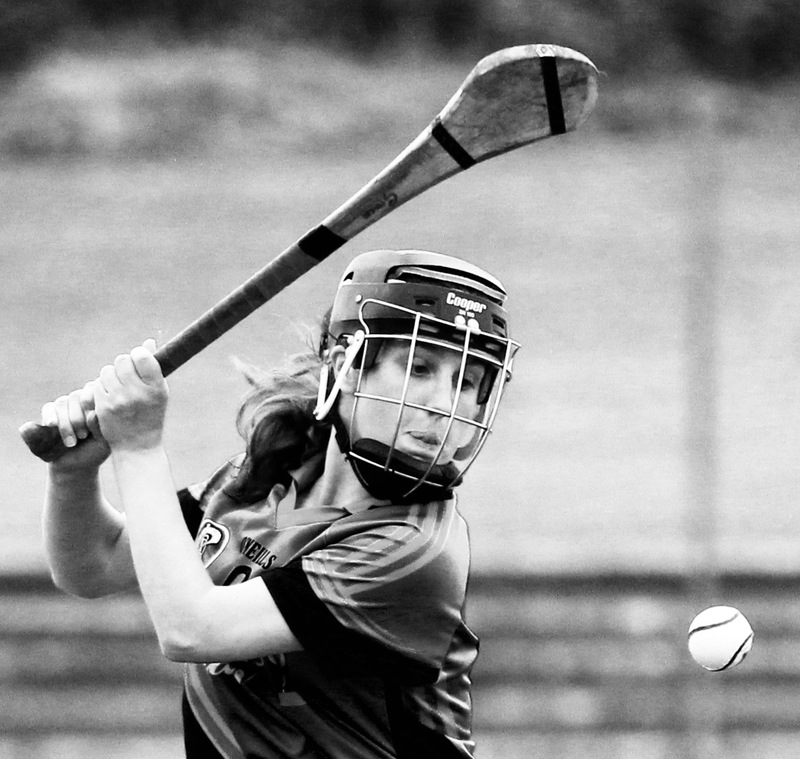 Grace has become the ideal role model for any aspiring Camogie player with her performances over the years which has seen her collect an impressive medal haul including Munster and All-Ireland titles at underage with Tipperary as well as under-16, under-18, junior and intermediate county championships with Nenagh Éire Óg. Last year she became the first Nenagh Éire Óg player to play senior championship Camogie for Tipperary. Congratulations from everyone in the club Grace, we are extremely proud to say you are one of our own. The winners will be announced at the 15th annual Camogie All-Stars awards banquet, which is sponsored by Liberty Insurance, in Citywest Hotel, Dublin on Saturday, November 3rd. Full-Back Line: Mary Ryan (Tipperary), Laura Treacy (Cork), Grace Walsh (Kilkenny), Shauna Healy (Galway), Catherine Foley (Kilkenny), Edwina Keane (Kilkenny), Sarah Dervan (Galway), Pamela Mackey (Cork), Colette Dormer (Kilkenny). Half-Forward Line: Orla Cotter (Cork), Orla O’Dwyer (Tipperary), Siobhán Flannery (Offaly), Katie Power (Kilkenny), Orla Cronin (Cork), Denise Gaule (Kilkenny), Amy O’ Connor (Cork), Anna Farrell (Kilkenny), Niamh Rockett (Waterford). Our senior hurlers qualified for the county final today after defeating Thurles Sarsfields in Semple Stadium on a scoreline of 2-18 to 2-15. An early Andrew Coffey goal set the scene for John Fitzgerald’s men and this was followed up with another by Paddy Murphy in the second half. 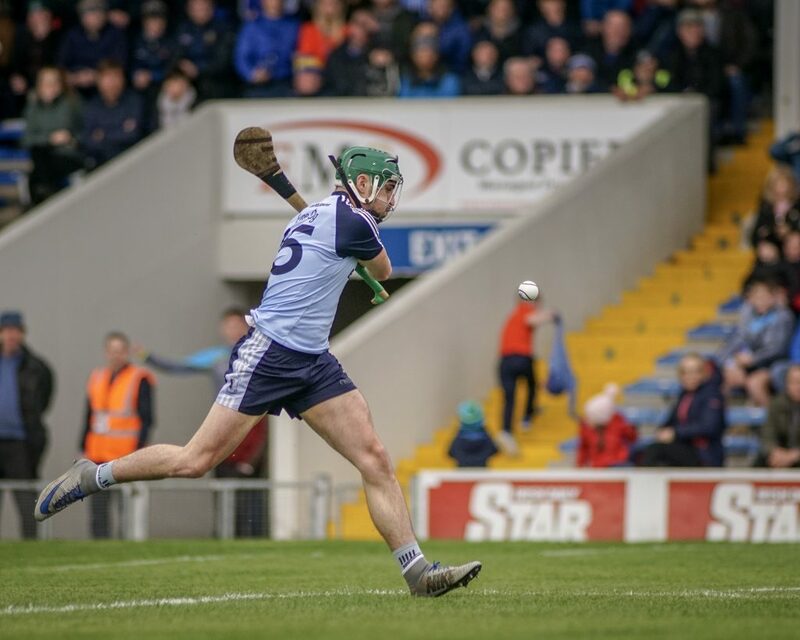 Thurles tried hard, especially in a frantic closing few minutes, but resolute defending along with a superb Shane Hennessy save ensured our passage to the final. In the other semi-final Clonoulty Rossmore had too much for our neighbours Toomevara and won 0-19 to 1-10. 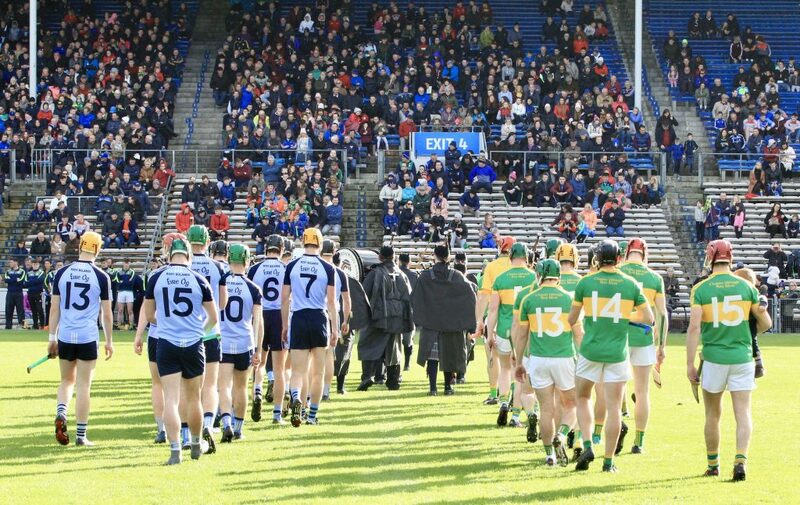 The county final is expected to take place in two weeks time. The under-6 players had a fantastic end of season party in Nenagh College recently. 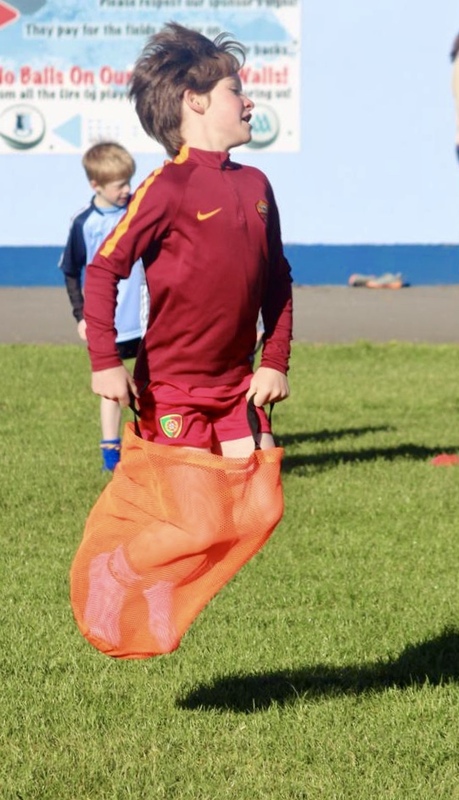 Our thanks go to their parents and guardians for all their support and help this year as well as their hard-working mentors who left no stone unturned in their efforts to improve the boys’ skills and more importantly ensured that all had tremendous fun. We can’t wait to see you all back in MacDonagh Park again in 2019. The under-10s finished up for the year last Saturday morning with a morning of fun for the boys followed by refreshments in the clubhouse. Please keep up the practicing both at home and in the schools. 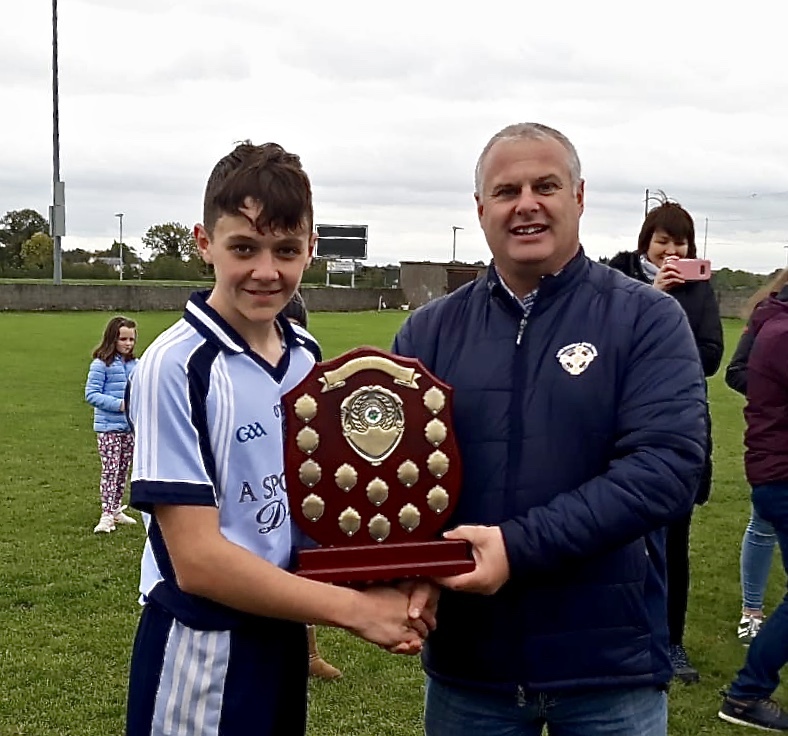 The under-13 hurlers were crowned North champions in Borrisoleigh on Sunday last. Anyone who traveled encountered a highly entertaining morning of hurling with some quality teams on show. 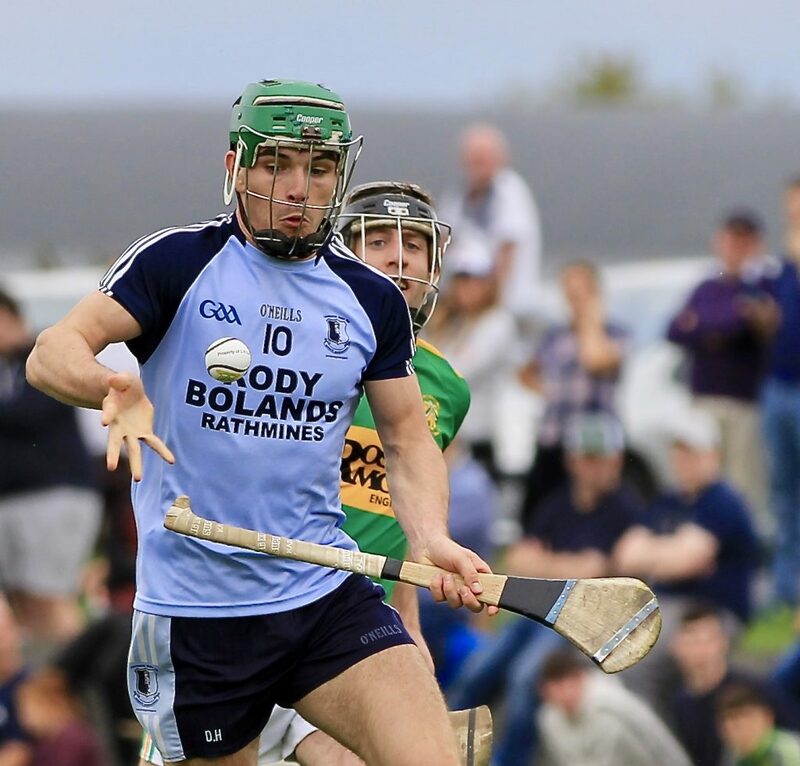 The Nenagh team defeated Silvermines, Borris-Ileigh and Roscrea on the way to the final before overcoming a gallant Toomevara team in the final by a score line of 1-8 to 1-3. We look forward to seeing this group progress over the next few years. The club wishes to thank the mentors John Kennedy, Greg Browne and Eamon O’Brien for all their work and effort with this group. Our minor camogs, for the second time, made the trip to Carrick Swan and fortunately a referee showed up this time and the much awaiting game between these two could go ahead. Despite Nenagh coming out on top 4-14 to 2-4 this was a hugely competitive game with the home team pressing Nenagh all the way. Carrick Swan proved to be the perfect hosts after the game when they provided refreshments for the travelling team and parents. 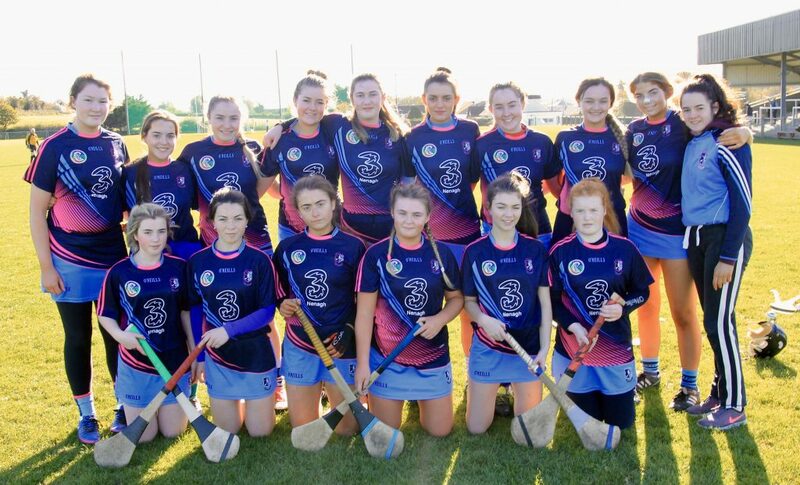 We at Nenagh Éire Óg wish Carrick Swan all the best as they endeavour to rebuild Camogie in a proud GAA town and we would ask the people of Carrick-on-Suir to get behind their hard work. 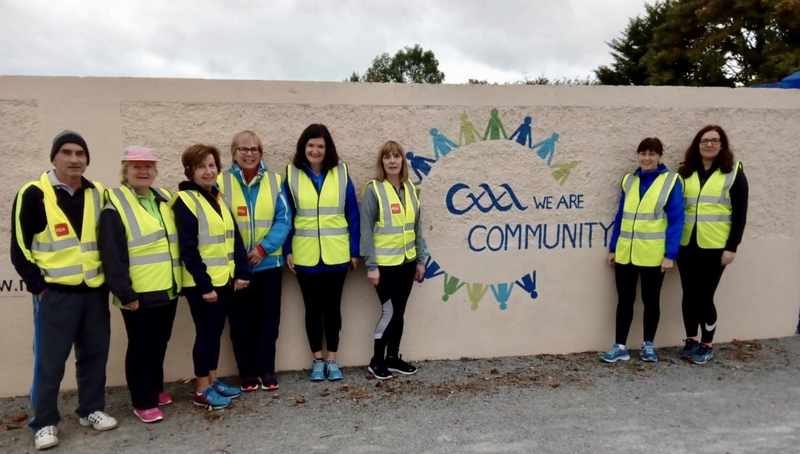 On Tuesday evening last the walking group met for the first night of their nine-week programme which will continue every Tuesday from MacDonagh Park. There are two walks, a beginners and more advanced group and everyone is welcome to join and no one will be left behind. There are large numbers participating from both Nenagh and surrounding parishes and it is a fantastic and healthy way to make new friends. Everyone is welcome to participate, regardless of ability. Francis taking a break from supervising Bartley during the clothes collection. 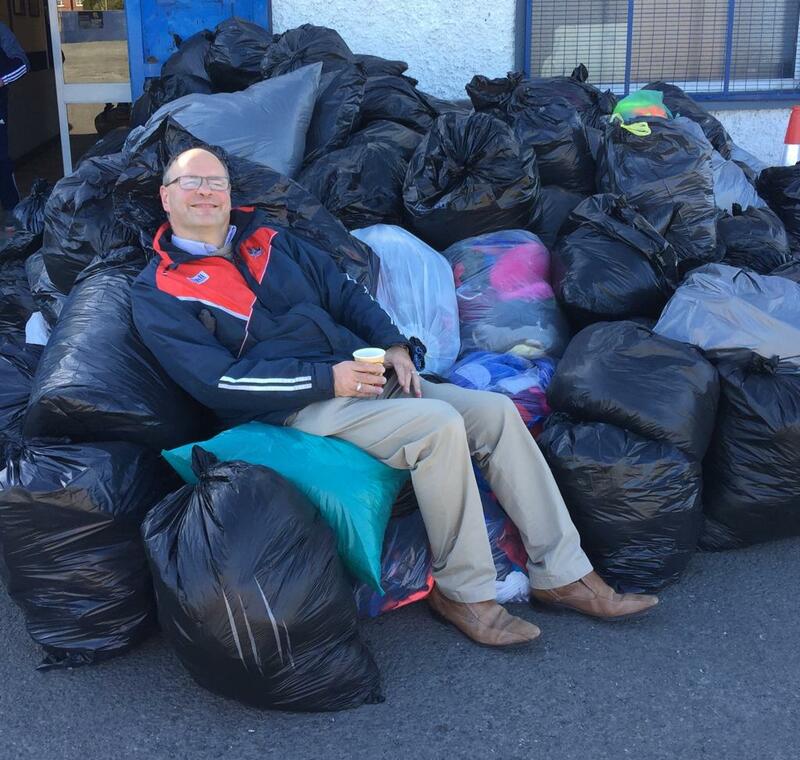 Our thanks go to everyone who contributed old clothes on Saturday morning during the clothes collection in MacDonagh Park. This helps raise vital funds for our juvenile section while also having the added benefit of decluttering peoples’ homes. As you can see from the photograph above, once again the response was generous from so many. Congratulations to Sinéad Meagher who won the All-Ireland ladies singles junior final this weekend defeating Dearbhaile O Keeffe from Kilkenny 21-10 and 21-3. It’s been a great year for this extremely hard-working young talent and it’s not over yet! Well done Sinéad, coach Eamonn Spillane and all involved. Congratulations to Josh Keller, Tom Kennedy and the Nenagh CBS Dean Ryan Cup team who won their quarter-final clash with Hamilton High School, Bandon on Wednesday last. 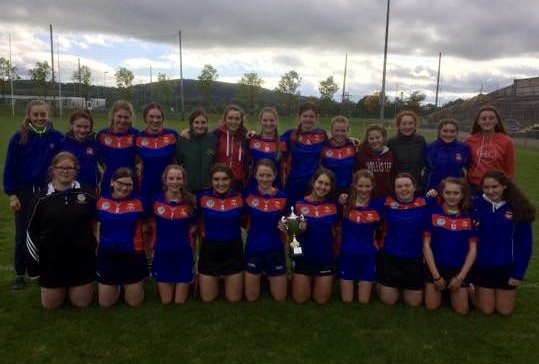 We also send our congratulations to St. Mary’s junior Camogie panel who won the Munster Schools Junior 7’s championship in Cork during the week. Well done girls and thanks to coaches Mr Dullea and Mr Mulcahy. Once again the club wishes to thank all the teachers in the schools in the parish for their generous spirit of volunteerism in promoting Gaelic games. The dedication over the years has ensured that the GAA is in a very strong position.